Remember that ‘Bamar’ (or ‘Burman’) and ‘Burmese’ are not the same. A Bamar is a member of the majority ethnic group. ‘Burmese’ refers to citizenship or the language. People from minority ethnic groups can be very offended if one equates the two terms or implies that only Bamar can be Burmese. This exclusion can be deeply hurtful and referential to the real persecution people have experienced. Refer to people by their chosen identity. Many from ethnic minorities may not actually want to be referred to as ‘Burmese’ and will prefer to use their ethnic identity, e.g. Karen, Chin, Rohingya. 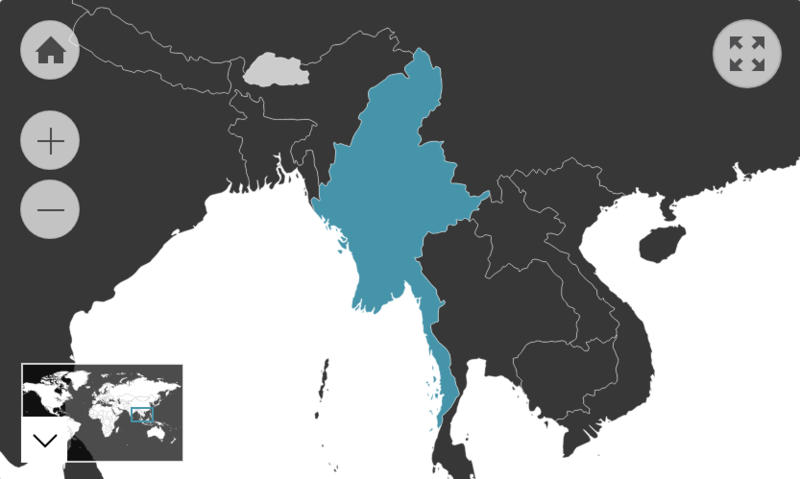 The Karen people may be particularly opposed to being called Burmese. Be sensitive to the reality that many Burmese living in other countries may have experienced trauma of some kind. This includes abuse by security forces, witnessing the death of family members, forced separation from family and impoverishment from a lack of basic resources. Political dissidents may have experienced interrogation, imprisonment or even torture. Consider that upfront honesty is not always appreciated. The Burmese are generally quite discreet unless they know someone very well. If discussing a sensitive topic, add lots of reassurance throughout conversation to put your Burmese counterpart at ease. Expect to be asked where you are going, when you last ate and what you are doing quite often. This is a cultural norm and is not intended to be intrusive. Dress modestly with your shoulders, chest and upper thigh covered. Do not assume that a Burmese person’s visible behaviour will indicate how they really feel. They generally have a very sunny demeanour – smiling and laughing a lot – which can lead foreigners to believe they are unaffected by conversation. In some cases, foreigners can feel overly reassured by a Burmese person’s cheerfulness and jump to the conclusion that they’re comfortable enough to joke about, criticise or discuss things that actually offend or hurt their counterpart more than they realise. Avoid being openly critical or pointing out mistakes. The Burmese tend to take criticism quite personally. For example, if they have taken you to a restaurant and you do not like a dish served, commenting on its quality may be taken as a comment on their skills as a host even though they did not prepare the dish. Such occurrences can quickly cause a Burmese person to lose face. Do not push a Burmese person to talk about politics. Though the situation is improving in Myanmar, decades of censorship and persecution created a culture of silence. Free speech is not taken for granted and some Burmese may still feel uncomfortable telling you their opinion out of fear for the consequences, especially if they have family remaining in Myanmar. Do not eat food or drinks that have been left out as spiritual offerings. Avoid complaining unless it is totally necessary. Many Burmese have endured a lot of hardship and are very stoic about their problems. Whinging is frowned upon. Do not raise your voice or lose your temper. Losing control of one’s emotions even in the most frustrating situations is a sign of poor upbringing and is likely to make you lose face in a Burmese person’s eyes. Avoid talking about yourself too much or boasting. The Burmese are especially humble people.